Increasingly, high-resolution multimedia TFT displays are used to display information in buildings, elevators and out-of-home applications. They enable fast content management over the Internet and dynamic presentation of multimedia messages. Especially in elevators, the multimedia displays represent a much sought-after point of view for the user in order to bridge the 'unpleasant' time of the journey. Your message thus optimally reaches the target group. You can use this advantage effectively with yourself and your company with flexyPage Campaign. How does flexyPage Campaign work? flexyPage Campaign offers different functional areas. For example, you can upload and save media and create your own advertisement. The flexyPage Campaign media library provides enough storage so that you can create and organize all of your content as you wish. In the campaign area you plan and create new advertising campaigns. This section also allows you to select any number of advertising content from the media library and compile it into an individual campaign. In the last step, you can roll out the campaigns you have created by assigning them to on one or more devices or even device groups. When creating your advertising campaign you can not only specify the duration and time during which your advertisement is displayed, but also in connection with a special lift status (event). This option allows you to display a different advertisement on the third floor than on the first floor, for instance. You can also choose to show your advertisement on the display screen only during a special ride. This special functionality lets you create very exclusive and targeted campaigns. 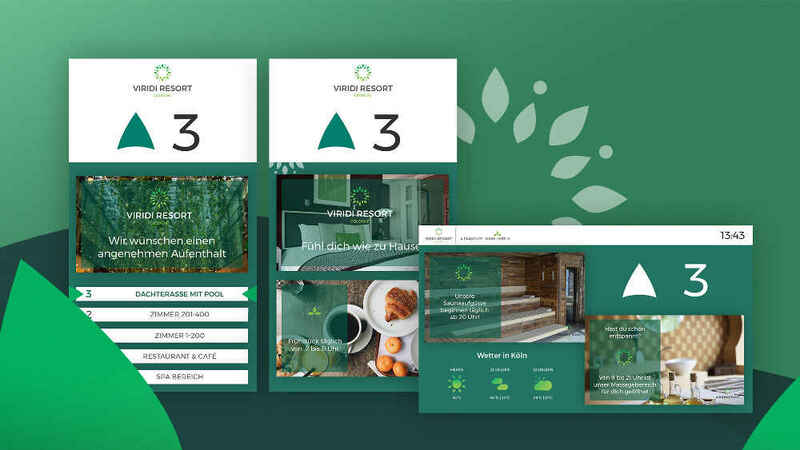 During the roll-out of your campaign your advertisement will automatically be integrated into the existent screen design of your flexyPage display and shown in the lift without having to adjust any other settings. There is no easier way to bring your advertisement onto the screen and into the lift as simple and as fast as this! You don’t have to panic when it comes to complicated menu navigation, confusing structures or information overflow. When using flexyPage Campaign for the first time, you won’t need hours to get an understanding of the software. 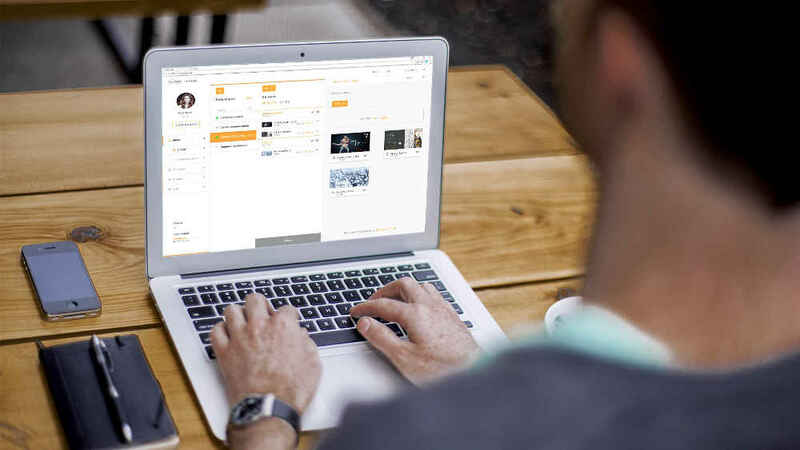 Thanks to the clearly structured user interface design of flexyPage Campaign, you always keep an overview of all of the available functions and options and you can orientate yourself very easily. The supporting buttons are clearly visible and cleverly positioned - they will guide you from one step to the next in the creation of your own campaign. Another plus of flexyPage Campaign is, the focus on the essential functions: The high aspiration for an excellent usability of the software guarantees a quick and easy use so that you will have your campaign ready in just a few clicks - it is that easy! The creation and adding of users gives you the opportunity to jointly work on campaigns. 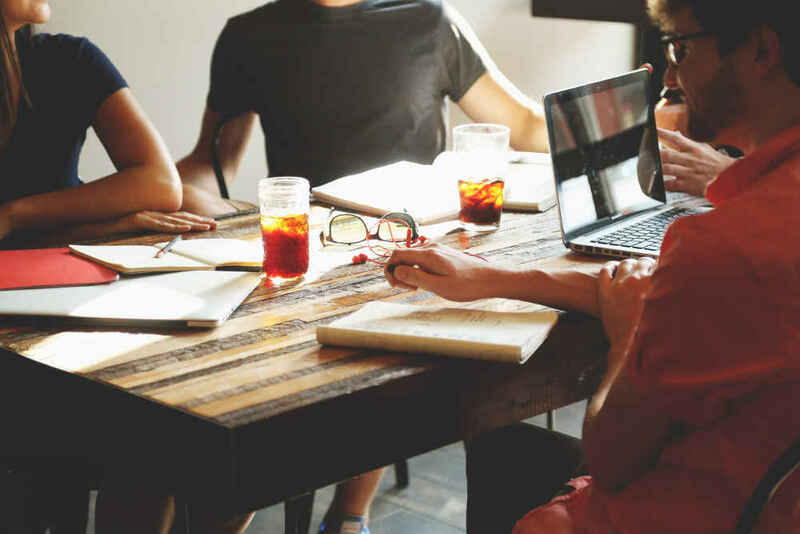 This means that you can plan and organize all of the different steps in the creation process of your campaign. Additionally, you can assign users to single campaigns so that they can further adjust and work on it. You can also create users that are solely responsible for the creation of the advertisement and that will take over the creative part. 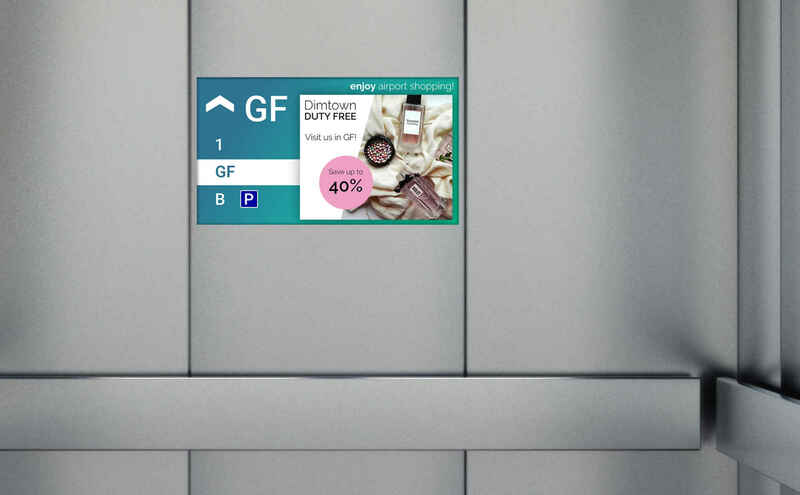 flexyPage Campaign is a new, web-based software for the creation, management, planning, and publishing of advertising campaigns and announcements in lifts. It is an extension to the previous information presentation on flexyPage displays in lifts. Up to now, all lift information, such as the direction of travel, floors or residents per floor could be displayed dynamically on the screen. With flexyPage Campaign, you can now display dynamic advertising content in addition to all lift information and thus create a new driving experience for your visitors. In just three steps, you create your own advertising campaign. Here we go! Upload any number of media to the media libary and add it to a campaign. Determine the order, duration and the period of the media to be displayed. Activate the campaign with a click. The media is transfered to the devices and displayed according to the configuration. We provide flexyPage Campaign as Software as a Service (SAAS). For you, that means you do not have to build and maintain your own server infrastructure to take advantage of flexyPage Campaign. After logging into the portal, you will always have access to the latest functions worldwide for all displays. Updates are automatically deployed so you can always get the most out of your experience. A purchase of the software is also not required. You only pay for the use of the service. For the different requirements in your applications we provide flexyPage Campaign in four different versions. More than enough features to enjoy the best of flexyPage Campaign! Premium digital signage functions and managemet of user and devices! For the power users that demand even more from flexyPage Campaign! Enterprise class services. Priority support, uptime SLA and more! Want to know more about flexyPage Campaign? Then send us an email directly or give us a call!